Before collecting data, it is important to determine how many samples are needed to perform a reliable analysis. This requires finding an adequate sample size n so that the statistics to be estimated have a sufficiently small margin of error and that any statistical tests to be performed have the required power. 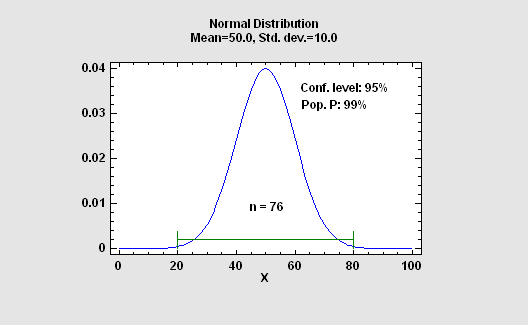 Statgraphics will determine required sample sizes for estimating the mean or standard deviation of a normal distribution, the proportion p of a binomial distribution, or the rate parameter of a Poisson distribution. 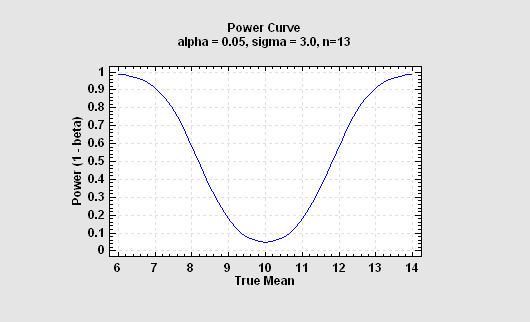 Users may specify either the desired width of a confidence interval for the parameter or the desired power of a one-sided or two-sided hypothesis test. Statgraphics will determine required sample sizes for comparing the means or standard deviations of 2 normal distributions, the difference between 2 proportions, or the difference between 2 rates. 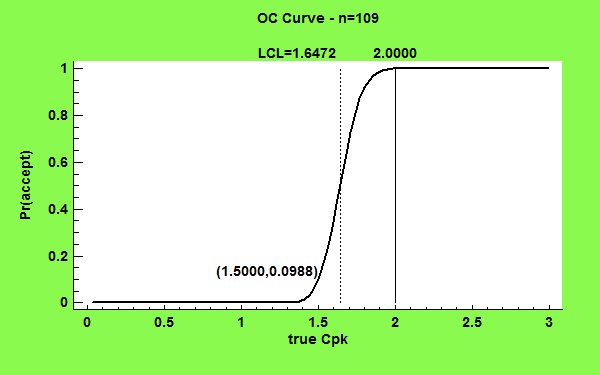 It can also determine the required sample size when doing pairwise comparisons in a oneway ANOVA. This procedure determines a suitable sample size for estimating three capability indices: Cp, Cpk, and Cpm. 1. the magnitude of a shift away from the centerline that you wish to detect. 2. the average acceptable run length if such a shift occurs before an out-of-control signal is generated. 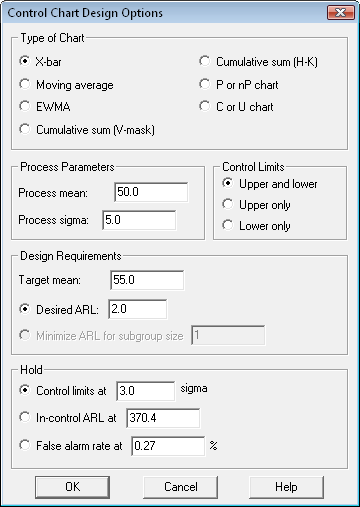 The procedure is most useful for setting up Phase II control charts, i.e., control charts designed to monitor real-time performance of a process once standard operating conditions have been established. Control charts for both variables and attributes are included. The STATGRAPHICS experimental design section can create a wide variety of designs intended to screen out the most important factors affecting a process. Included are two-level factorial designs, fractional factorials, mixed level fractions, irregular fractions, and Plackett-Burman designs. This procedure is designed to help select an appropriate design from that collection, including the number of replicates and centerpoints. 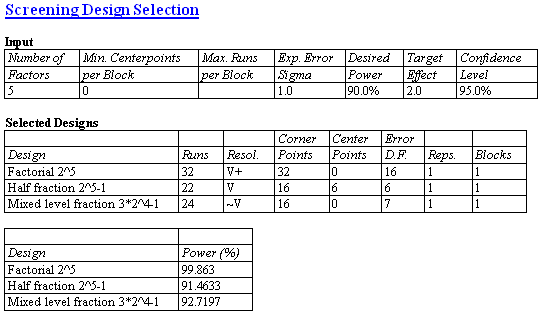 Once the desired effect and maximum block size are specified, a list of the best designs of each type is generated. 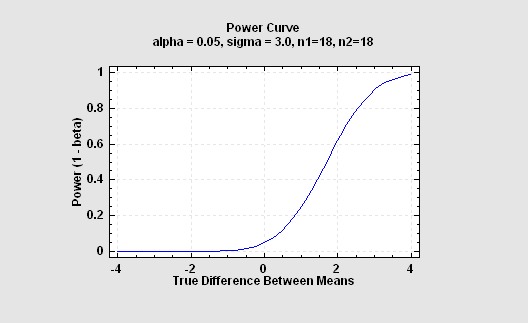 The power curves for each suggested design are also plotted. When lots containing a relatively large number of items require inspection, acceptance sampling plans can provide reasonable protection against shipping or receiving an unacceptable fraction of non-conforming items without inspecting 100% of the lot. In an attribute plan, a sample of size n is drawn from a lot of N items and the lot is accepted if the number of non-conforming items in the lot is less than or equal to c. The Statgraphics generates acceptance sampling plans for both attributes and variables. 1. Stop the test and reject the null hypothesis. 2. Stop the test and accept the null hypothesis. 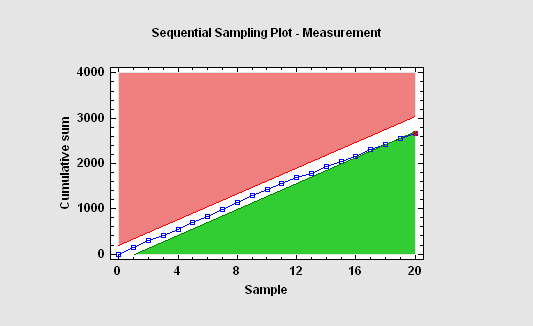 In many cases, the SPRT will come to a decision with fewer samples than would have been required for a fixed size test. 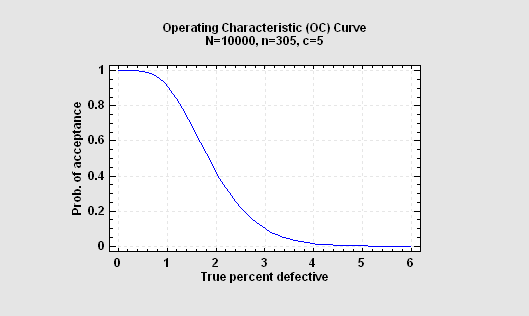 The short-term capability index Cp. The long-term capability index Pp. 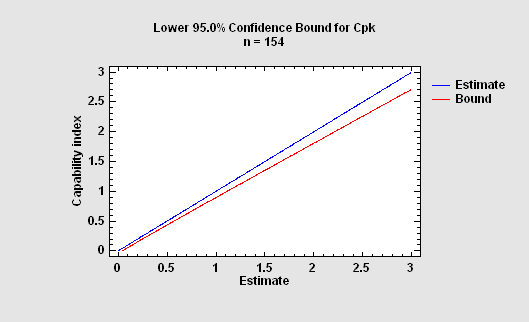 The short-term capability index Cpk. The long-term capability index Ppk. The proportion of nonconforming items.